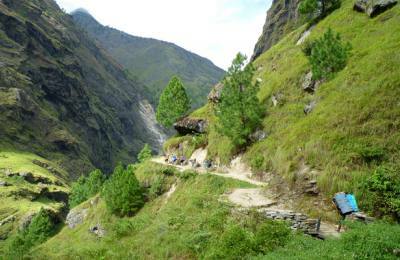 Manaslu trekking region is one of the restricted trekking destinations in Nepal. foreign trekkers got access to Manaslu region only in 1991. Even now, only 1,000 trekkers come to this region every year. This region has some pristine trails like Dharche hills. These trails give you glimpses of lives that devoid of modernization. You will also see some of the best views of the mountains while trekking in Manaslu. The Tsum valley trek, Manaslu circuit/Larke la pass and Manaslu circuit via tsum valley trek that you will get to view 10 peaks over 6,500 meters and a few peaks over 7,000 meters while trekking in Manaslu region. 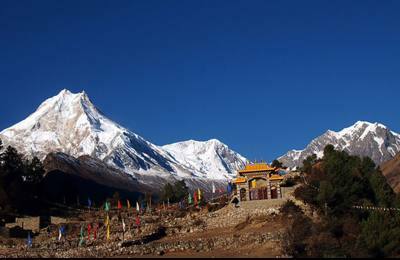 Manaslu Circuit trek or Larke la pass trekking is the most popular trek in Manaslu region. During the Manaslu trek, you will trek as high as Larkya La pass, that lies at an altitude of 5,213 meters. If you are looking to cross a mountain pass but don’t want to get as high as Larkya La, you can opt for Rupina La pass trek as well. The other trekking package Manaslu circuit via tsum valley trek is also popular for 3 weeks long day trekkers or hikker in the Manaslu Himalayas. Tsum Valley trek and Dharche Manaslu trek take you to some picturesque Gurung, Sherpa, Tamang and other villages in the Manaslu region. You will see wonderful mountain ranges constantly while trekking in Manaslu.